I build these bowed psalteries at my home in a small workshop without any employees, just my wife Cathy and I. I take great pride in my craftsmanship. Just a small mom and pop business. You will need to contact me by phone or email to place an order. I don't have a shopping cart or place to buy with one click. The psalteries listed online are sold on a "first come first served" basis, the first email message or phone call will get the purchase. A conflict hardly ever happens, but it is possible for two folks to try to buy the same item. First contact has priority. 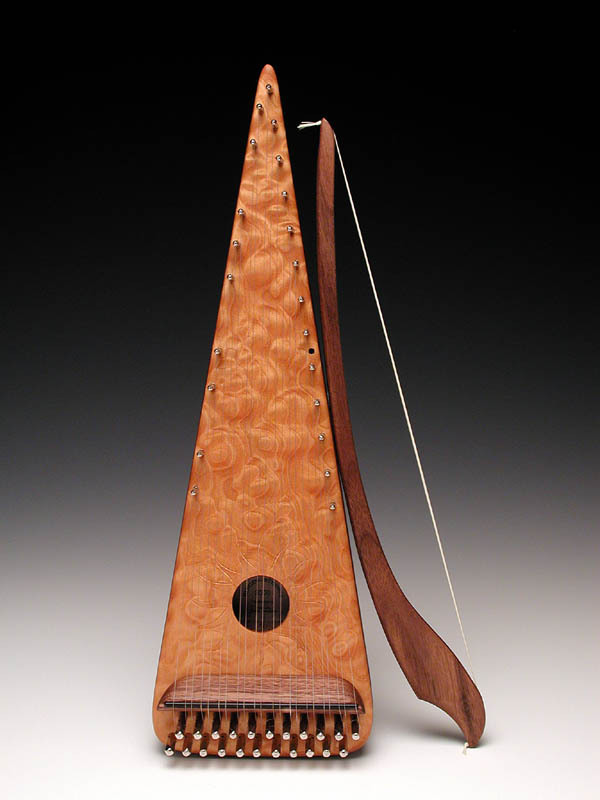 The psaltery or bows will be marked "Sale Pending" when you contact me about buying a particular psaltery. I will update the listing as "Sold" once your payment has been received. I usually leave the sold items in place until the next update with new stock. I can take a special order on items like the ones marked sold and supply the same wood, but since wood is a natural product the color and grain variation will most likely be different. I can email pictures of the wood I have to use for approval. Shipping charges are $25 for Tenor and alto psalteries This is for insured UPS shipping in the United States. I have not had any trouble with shipping damage. I do insure them just in case. Accessories and recordings will be shipped USPS First Class or Priority Mail. Bows are mailed using USPS Priority Mail and the price calculated by your location. They furnish a very strong box that allows for lots of padding for protection. As of 4-24-18 I will not be doing any international shipments. US sales only. Tennessee residents pay 9.75% sales tax.